Jessica received her Bachelor of Science in Wildlife Science from the University of Arizona and then went on to conduct field research internationally and throughout the U.S. for 10 years, primarily focusing on mammalian carnivores. In 2012 she completed her Master of Science degree at the University of Washington, conducting research for the Forest Service's North Cascades Wolverine Study to determine how topography, vegetation, and animal behavior affect the accuracy and acquisition rates of Argos satellite telemetry collars used to track wolverines. Jessica is currently working as a field operations manager for the Pacific Southwest Region of the National Ecological Observatory Network (NEON). Kristen received both her Bachelor of Science and Master of Science degrees at the School of Environmental and Forest Sciences. For her graduate research she conducted non-invasive genetic sampling of black bears in the North Cascades Ecosystem (NCE) of Washington State. Using genetic and detection data, she examined associations of black bears with habitat and human activity variables across the entire NCE. To date, no other research has investigated patterns of black bear relative abundance in Washington across such a large geographic expanse. 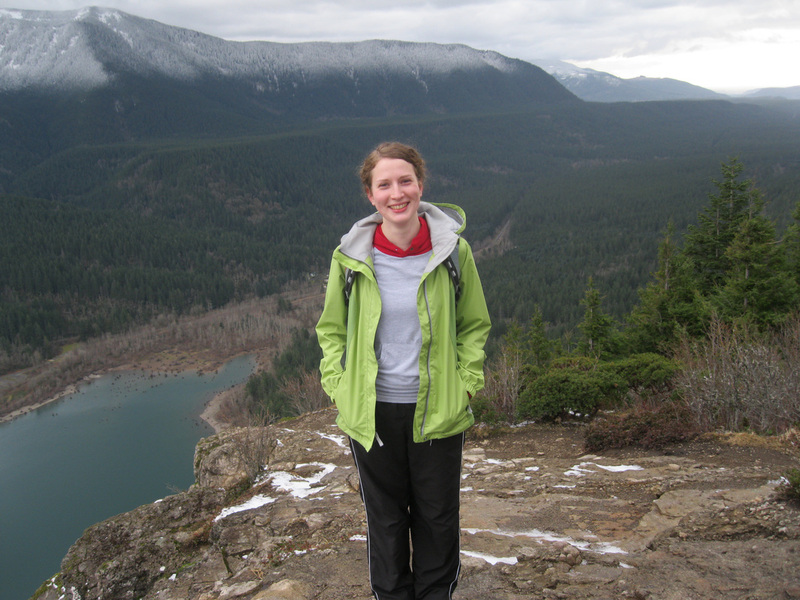 Kristen is currently working as a wildlife biologist for the Quinault Indian Nation. Kelsey completed her masterʼs degree in Quantitative Ecology & Resource Management (QERM) in 2014 under the supervision of Aaron Wirsing and Jim Anderson. She studied the theoretical impacts of habitat loss and generalist predation on predator-prey cycles using reaction-diffusion-advection models. She found that habitat disturbances can have a variety of consequences for cyclic systems depending partly on the nature of specialist predator-prey interactions and the extent to which the disturbances increase generalist access to prey. Ultimately, however, habitat loss and generalist predation lead to the attenuation or loss of cycles, consistent with observations of decreased cycle amplitude, increased predation rates, and increased habitat fragmentation in the southern ranges of cyclic species. Before graduate school, Kelsey obtained a BA in mathematics from Grinnell College in 2008 and then worked for three years in a neuroimaging lab at the University of Iowa. She is currently a PhD student at the University of Minnesota working with John Fieberg on the dynamics of regime shifts between clear and turbid states in shallow lakes. Thomas joined the Predator Ecology Lab in 2013 as a visiting Fulbright scholar from The University of Sydney, Australia. During his time in the U.S. Thomas investigated interactions between gray wolves, coyotes and red foxes across North America with his co-host, Professor William Ripple, at Oregon State University. In collaboration with members of the Predator Ecology Lab Thomas completed a global review on the ecological effects of providing resource subsidies to predators. He also completed a project that brought together Australian and American researchers to investigate the feasibility of undertaking a reintroduction study involving Australia’s apex predator, the dingo. Thomas continues to collaborate with the Predator Ecology Lab through the Washington Wolf Project and via research projects investigating predator ecology and behavior. Until recently, Thomas worked as a postdoctoral research assistant in the Desert Ecology Research Group at The University of Sydney. He is currently a Lecturer (Early Career Development Fellow) at The University of Sydney. In 2015, Linda completed a dissertation focusing on the water monitor lizard, Varanus salvator, in Indonesia. This large (3m in total length) species adapts easily to areas of anthropogenic disturbance, raising the concern for human-wildlife conflict in areas where V. salvator and human activities overlap. By exploring community attitudes and V. salvator space use in an area of regular anthropogenic food subsidy, Linda’s research increased understanding of how human and V. salvatorbehaviors may influence one another. ​Development of Indonesian language skills was essential to the completion of Linda’s research; in 2009-2010 and 2011-2012 she was supported in this effort as a Foreign Language Area Studies (FLAS) Southeast Asia-Indonesian Language Fellow. Linda earned an MA in International Studies from the University of Washington’s Jackson School in 2010 and a MS in Biology for Teachers from the University of Washington in 2008. From 2015-2017, Linda worked in Southern California as a California Condor Recovery Program Wildlife Biologist with the US Fish and Wildlife Service. She is currently a Senior Biologist with zoOceanarium Group / Worldwide Zoo Consultants LLC in Dubai, United Arab Emirates (UAE). Jeff earned an undergraduate degree (BSc) in biology, with a marine emphasis, from Western Washington University. His Masters research at the University of Washington focused on the timing and factors that influence an individual’s transition to nutritional independence (weaning) in California sea lions. This transition is the most critical part of a sea lion's life history, for during this period an individual’s risk of mortality is greatly increased. To better understand post-weaning survival of California sea lions, his graduate research also addressed the impacts of shark predation on the juvenile age class and how this predation pressure has changed through time. 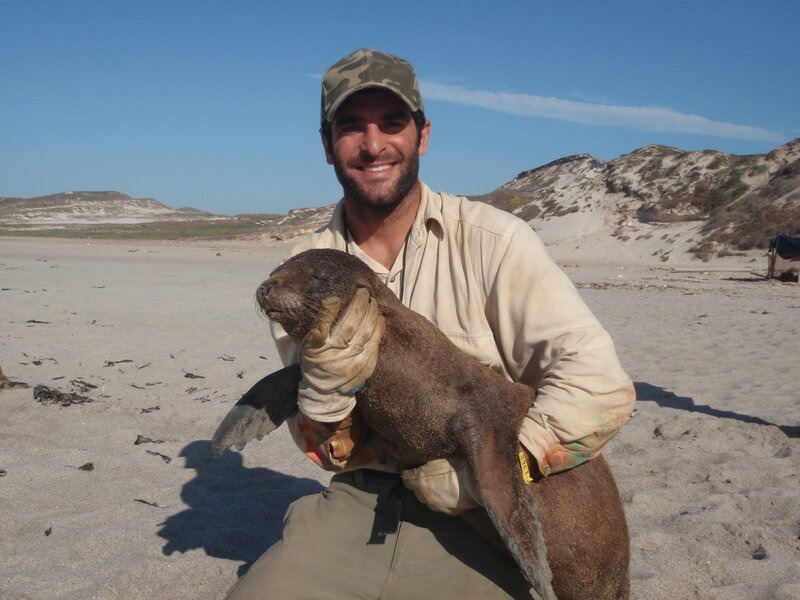 As parr of this second project component, Jeff examined the seasonality of predation events on California sea lions, as well as the size and species of sharks responsible for the attacks. The majority of his research was conducted on the breeding rookeries of San Miguel Island, CA. ​Jeff is currently working as a research biologist for NOAA at the National Marine Mammal Laboratory, in Seattle, where he participates in a variety of marine mammal projects from Southern California to northern Alaska. After graduating from the University of North Carolina Wilmington in 2008 with a B.S. in Biology, Justin undertook a graduate position at Auburn University under Drs. Troy Best and Todd Steury studying foraging and spatial ecology of red wolves in northeastern North Carolina. He earned an M.S. in Biology in the spring of 2011 and then headed to Arizona to work as a wildlife researcher studying mountain lions in collaboration with the San Carlos Apache Tribe. In the autumn of 2012, Justin joined the PEL as a PhD student. His dissertation research focused on consumptive and non-consumptive interactions between recolonizing gray wolves and two deer species (mule and white-tailed) in a managed (i.e., human-modified) landscape of eastern Washington. 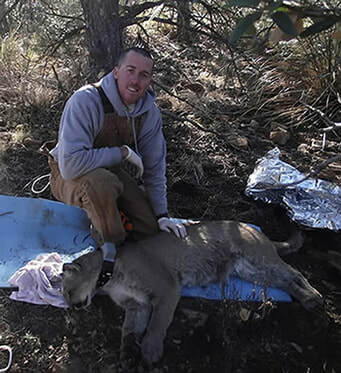 Justin defended his dissertation in the winter of 2018 and is now a senior environmental scientist in the Wildlife Investigations Lab of the California Department of Fish and Wildlife, where his work focuses on the ecology and management and cougars and wolves.